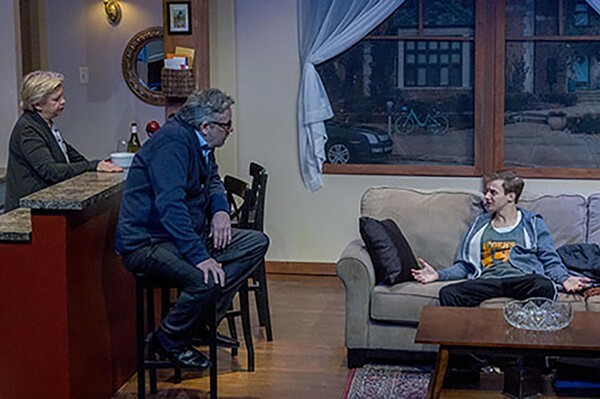 Through 5/12: Thu-Sat 8 PM, Sun 3 PM, Theater Wit, 1229 W. Belmont, 773-975-8150, theaterwit.org, $30-$42, $28-$40 seniors, $25-$30 under 30. Joshua Harmon's 2018 Admissions opens in an administrative office at Hillcrest, an elite prep school in New Hampshire, where two blonde women bicker about the new admissions catalogue. Admissions director Sherri Rosen-Mason (Meighan Gerachis) points out that the images intended to cozen the privileged into throwing down cash for high school en route to an implied Ivy League future fail to represent Hillcrest's current population, which has, under her ministrations, grown to 18 percent students of color. "I don't see color," replies her colleague Roberta (Judi Schindler)—but it's the conversation that ensues, in which Sherri insists on photographs of people "easily identifiable as black or Hispanic," that will make you cringe like a mouthful of lollipops and a root canal tomorrow. "If I were a terrorist I would blow this place right up," says Ginnie (India Whiteside), whose husband, a teacher at Hillcrest, and son, a student, are black. For some kids, the path to prison starts with just one bad day or one microaggression too far.